As advised in the last post and email Brandy Creek Winery is being renovated and the cafe will be shut until September. This being the case we will be starting from Yarragon this Saturday departing at 8am. Park and meet in the Hahns Lane car park (rear of the shops). Gita and Carolyn will oversee the ride as IdB is away for a couple of weeks. The weather Gods say it will be partly cloudy. Medium (60%) chance of showers (1-3mm). Snow possible above 1300 metres. Light winds becoming west to southwesterly 15 to 20 km/h in the middle of the day. Overnight temperatures falling to between zero and 5 with daytime temperatures reaching between 9 and 15. Please ride safely in your respective groups. Given the weather please have your batteries charged and rear lights on. This Saturday looks like it will be a better day to ride as compared to the very windy days we have been experiencing. 8am depart from Darnum. Weather forecast – Partly cloudy. Winds northwest to northeasterly 15 to 25 km/h becoming light during the afternoon then becoming northwest to northeasterly 20 to 30 km/h during the evening. Overnight temperatures falling to between 3 and 7 with daytime temperatures reaching between 14 and 19. Please note that the following Saturday is the last ride for the month of May. Brandy Creek Winery is under renovations and the cafe will not be operating for at least three months. Rather than just using Brandy Creek Winery’s carpark it has been suggested we start from a different venue where there are toilets and where we can have coffee after our ride. As a trial, the ride for Saturday 28 May 2016 is to depart from Yarragon at our usual time – 8am. Park at the rear of the shops where there is abundant cap parking spaces. The weather tomorrow promises, according to the weather prophets, to be reasonable for a reasonable ride. It’s Darnum leaving at 8am. For our and your safer please have your rear light on for the rid and ride cohesively with your group. The ‘prophets’ say it will be mostly sunny. Winds northwesterly 25 to 40 km/h with overnight temperatures falling to between 6 and 12. Daytime temperatures reaching between 16 and 24. 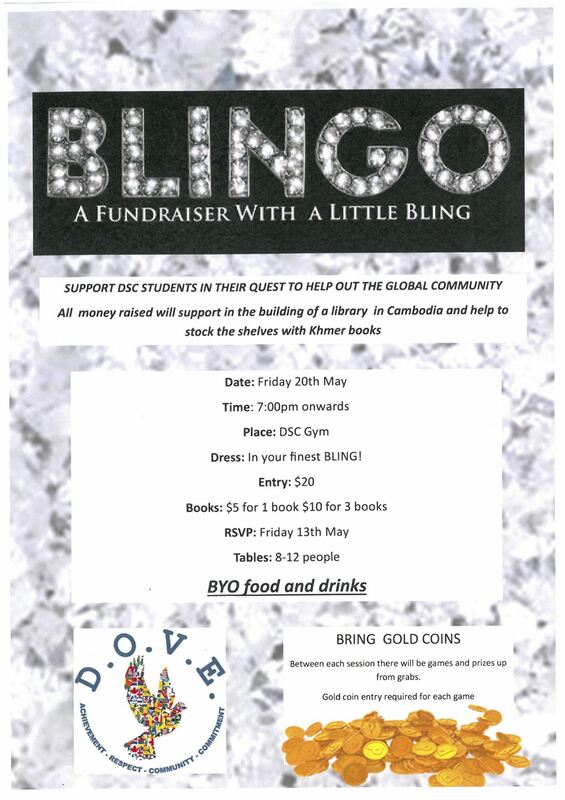 Gita is organising a Bingo night to raise funds for her students to support the building of a library including Khmer books in Cambodia. 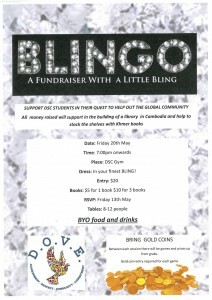 If the Bingo night last year is any thing to go by this will also be a very interesting and entertaining night. Several riders are already planning to be part of the evening. As with all fund raining events it needs to be supported by as many people. Be a good cycling citizen and help this very worthy cause. The weather is going to change over the weekend however the forecast for Saturday suggests that it will be fine for a ride. So lets take advantage of this window of good weather for a comfortable ride. For our safety please have your batteries charged and your rear and front lights on for the ride. The forecast is for mostly sunny, patchy fog in the east in the early morning. Winds north to northwesterly 15 to 25 km/h becoming light in the late afternoon. Overnight temperatures falling to between 7 and 11 with daytime temperatures reaching 20 to 25.